Way too much filler and schmaltz for me. Mediocre fantasy advice is correct. Good information from different perspectives while still being entertaining to listen to. My favorite fantasy podcast by far! The crew recaps the whirlwind weekend of NFC and AFC Championship games and we talk OT playoff rules and if both teams should be able to have an offensive possession. Matthew Berry and Mike Clay break down the latest coaching changes and the potential fantasy impact. The crew looks back at the 2018 fantasy season and hands out hardware to the 10 most deserving nominees. Field, Stephania and the behind the glass crew recap all the games from Wildcard Weekend! Field Yates, Matthew Berry, Stephania Bell and Daniel Dopp recap NFL Week 17 and discuss some team and player expectations for the 2019 season. Field Yates, Stephania Bell and Mike Clay preview the entire Week 17 slate and discuss what teams may limit the playing time of their fantasy stars. The crew previews the entire Week 16 slate and breaks down the latest injuries updates. The crew talks Cam Newton being shut down by the Panthers, Josh Gordon stepping away from the Pats, Week 16 WR/CB Matchups and a wayyyy to early 2019 first round mock draft. The crew talks about two NFC North RBs heading to IR, Week 16 rankings and we make Mike Clay back up his weekly projections! The crew recaps Saints-Panthers, complains about Brees, Cam, previews the Week 16 waiver wire and play a new segment around Crappy Bands You've Never Heard Of. The crew weighs in on the bewildering results of Week 15, including the lack of production from Leonard Fournette, Dak Prescott, Saquon Barkley and more. The crew previews all the Week 15 games and breaks down all the injuries you need to keep an eye on. Field, Mike and Stephania look ahead to the Chargers-Chiefs TNF matchup and weigh in on the latest Carson Wentz injury. Field Yates, Stephania Bell and Mike Clay discuss the latest injury news and share their rankings for Week 15. Prepare for some top QB hate from Mike, plus Twitter questions! The crew recaps Seahawks-Vikings, talks about the latest injury news for Tyreek Hill and Melvin Gordon / Austin Ekeler / Justin Jackson and Week 15 Waiver Wire adds. The crew recaps Sunday's Week 14 matchups and discuss if Tom Brady and Cam Newton are still 'set it and forget it' fantasy starters. Dr. John Neidecker of the Association of Ringside Physicians joins Stephania to discuss the 2018 publication "Concussion Management in Combat Sports" and how the concussion guidelines, particularly with regard to return to sports, are being implemented in boxing, kickboxing and MMA. The crew previews all the Week 14 games, talks injuries to keep an eye on and multiple board bets! The crew breaks down the Emmanuel Sanders injury and what it means for Courtland Sutton. Plus, a preview of Jags-Titans and a deep dive into RB dynasty values with Mike Clay. Field, Mike and Stephania weigh in on the recent injury news to James Conner, discuss their week 14 rankings and answer your Twitter questions. Plus, Mike's "Back That Up." Field, Matthew and Mike Clay recap Monday Night Football and talk waiver wire adds heading into the playoffs including why Josh Allen is the best quarterback pick up this week over Baker Mayfield and more. The crew recaps all the action from Week 13 and delves into the fallout from the Kareem Hunt video and much more. The crew previews all the Week 13 games, talks injury updates and breaking news about possible shenanigans in the Fantasy Focus Pigskin Pick'em league. The crew previews TNF, Matthew share his weekly Love/Hate, a new ZR Smartest Fan of the Week is selected and more. The crew talks about Week 13 rankings, Mike Clay's projections for James Conner and Tyler Lockett and Twitter questions from listeners. Field, Matthew and Stephania recap Week 12 and discuss if Aaron Rodgers is still a must start, who could replace Melvin Gordon in your lineup and much more. Matthew, Field and Stephania preview Week 12, including the Thanksgiving Day slate, discuss the injury to Saints' TreaQuan Smith and much more. The crew recaps a historic Chiefs-Rams game, goes in-depth on the latest injury news and breaks down the Week 12 waiver wire. The crew breaks down the entire Week 11 slate including injuries to watch, who's a must-start and who should be on your bench. Matthew, Field and Stephania preview the Packers-Seahawks matchup, dab into Matthew's Love/Hate and select the new Zip Recruiter Fan of the Week. Field Yates and Mike Clay discuss Le'Veon Bell in dynasty leagues, the Rams-Chiefs game being moved to Los Angeles, Week 11 rankings and take Twitter questions! Matthew Berry & Field Yates recap Monday Night Football, discuss Nathan Peterman's release, talk about the Week 11 waiver wire and answer your Twitter questions! Field Yates, Matthew Berry and Mike Clay recap Sunday's slate including the Saints dismantling the Bengals, the Colts' TE usage, Mitch Trubisky's fantasy value and more. The crew previews all the Week 10 matchups and updates on the latest injury news. Field Yates, Matthew Berry and Stephania Bell weigh on the latest injury news, preview the Panthers-Steelers TNF matchup and answer your Twitter questions! The crew talks about Dez Bryant signing with the Saints, the Packers WRs without Geronimo Allison & our Wk 10 rankings. Plus, Twitter questions and our new ZipRecruiter SFotW. Field Yates and Mike Clay reap the Titans' MNF performance, discuss which WRs/RBs/QBs should be on your waiver wire list and Mike Clay "Backs That Up" on Andrew Luck and more. The crew recaps all the Week 9 action, breaks down all the injury news and celebrates Julio Jones first touchdown of the season! The crew breaks down all the Week 9 storylines, updates all the latest injury news and discusses Field's latest fashion photo shoot. The crew breaks down the latest injury news around Dalvin Cook and Stefon Diggs, previews Raiders-49ers and the Week 9 Love/Hate list. The crew breaks down the Golden Tate, Demaryius Thomas and Ty Montgomery trades and how it affects all the teams involved. Plus, Week 9 rankings & Halloween costumes! Field Yates, Matthew Berry and Mike Clay discuss the Bucs naming Ryan Fitzpatrick the Week 9 starter and waiver wire pick ups. Plus, Field and Matthew in a game of basketball? Field Yates, Stephania Bell and Matthew Berry recap NFL Week 8 and weigh in on Will Fuller's injury, if Ryan Fitzpatrick will be the starter moving forward and more. Field, Mike Clay and Stephania preview the Week 8 slate and make some outstanding picks. Plus, a great Twitter poll about Mike Clay. Field Yates, Mike Clay and Stephania Bell preview TNF, discuss Mike's WR/CB matchup article, touch on how to handle elite offenses with late bye weeks and take Twitter questions. Field, Stephania and Matthew share their rankings for Week 8 including why Jared Goff maybe higher than Andrew Luck. Plus, we select the Ziprecruiter Smartest Fan of the Week. Field Yates, Matthew Berry and Mike Clay weigh in on Amari Cooper's trade to the Cowboys, Marshawn Lynch being place on IR, recap MNF and work the waiver wire. Field Yates, Matthew Berry and Stephania Bell recap Sunday's slate including big running back performances from Todd Gurley, Marlon Mack and Kareem Hunt. Field, Mike Clay and Stephania preview the Week 7 slate and break down all the latest injury news. Scott Anderson describes Sync-Think's integration of virtual reality with the tracking of eye movements to help assess brain performance - from on-field injury evaluation to rehabilitation to dynamic vision training. As an athlete who was forced to retire due to concussions, Steve Young shares his personal experience and explains why he is committed to making this technology available within all levels of football. Field & Stephania hold down the fort and preview TNF's Cardinals-Broncos matchup, discuss the injuries to Cooper Kupp and Ryan Tannehill and take Twitter questions! Matthew, Field and Stephania discuss the Falcons backfield with Devonta Freeman heading to the IR, break down their Week 7 rankings and Mina Kimes joins the show! Matthew, Field and Mike Clay recap Monday Night Football, discuss the RB situation in Pittsburgh and talk about the waiver wire heading into Week 7. Matthew, Field and Stephania recap all the Week 6 action, talk about disappointing performances that sunk fantasy managers and break down the latest injury news. Matthew, Field and Stephania preview the Week 6 slate and breaks down all the latest injury news. Field Yates, Matthew Berry & Stephania Bell weigh in on Leonard Fournette's injury and preview Thursday Night Football. Plus, they answer your Twitter questions! Field Yates & Mike Clay recap Drew Brees' record setting night on MNF, weigh in on Jay Ajayi's ACL tear and explore the waiver wire. While Matthew is in NOLA, Field, Stephania and Mike Clay recap Week 5 including Cooper Kupp's injury, whether Russell Wilson took a step forward, Joe Mixon's return and more. The crew previews all the Week 5 games, breaks down the latest injury news and puts a bow on #HamstringRecall2018. Matthew, Stephania and Field preview the Colts-Patriots TNF matchup and share their Love/Hate for Week 5. Plus, they answer your Twitter questions & update their league statuses. Matthew, Field and Stephania share their Week 5 fantasy rankings, select the new Zip Recruiter Fan of the Week and answer your Twitter questions! Matthew Berry, Field Yates and Mike Clay recap Monday Night Football and share their thoughts on waiver wire pick ups for Week 5. Matthew Berry, Field Yates and Stephania Bell weigh on if Andy Dalton should be permanent fit in your lineup, if any Dolphin or 49er is worth starting, Mitch Trubisky's hot performance and more. Matthew Berry, Field Yates and Stephania Bell preview all of the Week 4 action including predictions on how the 49ers will play without Jimmy Garoppolo and if Baker Mayfield & the Browns will get another win. Matthew Berry, Field Yates and Stephania Bell preview Thursday Night Football and provide their NFL Week 4 fantasy rankings. The crew goes live from Caroline's and talks about what we've learned so far this year. Plus, we take questions from the audience. Matthew Berry, Field Yates and Mike Clay recap Ryan Fitzpatrick's performance in MNF and weigh in on working the waiver wire for Week 4. Matthew Berry, Field Yates and Stephania Bell discuss the fallout from Jimmy Garoppolo's injury, Baker Mayfield's new starting role, the value of the Lions' WRs and much more. The crew previews all the week 3 games. Who should you start, who should you sit and which injuries should you be most concerned about? The crew asks if there are season long concerns about Aaron Rodgers' injury & preview the Jets-Browns TNF. Plus, Matthew Berry's Week 3 Love/Hate and we take your Twitter questions! Matthew Berry, Field Yates and Stephania Bell discuss Jay Ajayi's status, player rankings for Week 3 and answer Twitter questions from fans! The crew weighs in on the Bears' defense, Carson Wentz's return and hit the waiver wire. Plus, what does the Josh Gordon trade mean for other Patriots WRs? The crew previews all the Week 2 games! Can you start Brady against the Jags, and the latest injury news around Rodgers, Fournette, DJ and Freeman. Matthew Berry, Field Yates and Stephania Bell preview TNF and offer up their top storylines for Week 2. The crew breaks down the latest injury news for Doug Baldwin & Greg Olsen and talks Week 2 rankings. Is Brady still a top 5 QB against the Jags, which Redskins' RB do we prefer, can both Broncos WRs be top 20 and is Stephania the higher ranker of Jordan Reed?! Matthew Berry, Field Yates and Mike Clay breakdown the MNF double header before they discuss and rank the players you need from the waiver wire. The crew breaks down all the games from Week 1! Is James Conner the real deal? Is there concern around Fournette's hamstring? Can Mahomes sustain his Week 1 production? The crew recaps Eagles-Falcons (will Julio ever score another TD?!?!) and previews all the games from the Week 1 slate! Matthew Berry, Field Yates and Stephania Bell evaluate Field's big news (1:00), Le'Veon Bell's holdout (7:20), preview the Falcons (29:00)/Eagles (39:55) and make some final bold calls (51:32). Matthew Berry, Field Yates and Stephania Bell debate the tough to rank quarterbacks (13:00), wide receivers (29:20), running backs (43:20) and tight ends (54:50) as they prepare for Week 1. The crew breaks down which 49ers RB you're targeting after McKinnon's injury (2:30), is it time to worry about Le'Veon Bell (9:30), can Gates be a top 10 TE (13:30), post-draft waiver wire talk (33:50) and which RBs are worth the handcuff (41:00) and announcing the celeb league (54:00). The crew mock drafts live, reacts in real time and calls out good picks and reaches. Which team ended up with the best draft? Tweet @fantasyfocus and let us know! The crew breaks down how they approach drafting in different league types (2QB, 14-16 teams, Dynasty & Keeper) & their thoughts on waivers vs. FAAB, IR slots & playoff weeks. Matthew Berry, Field Yates and Stephania Bell break down some WR injury news (8:40) and then highlight the players they are "all in" on as well as others that are worth throwing a dart at in the later rounds. Dak Prescott (16:20)/Amari Cooper (25:45) make the "all in" list and Mike Williams (50:20) is a favorite flier. The crew gives you the definitive draft day injury list of 2018, breaking down QBs (6:40), RBs (14:15), WRs (40:00) and TEs (58:00). Matthew Berry, Field Yates and Stephania Bell recap the action from the weekend, including a star emerging in Denver (13:40), a veteran getting all the work (17:45) and a WR1's season ends before it starts (54:33). Matthew Berry, Field Yates and Stephania Bell discuss how to not take a food picture (1:20), if there was anything to take from last night's Eagles/Browns thriller (6:00) and conclude double trouble with the Redskins (22:00)/Giants (41:50). Field Yates, Stephania Bell and Mike Clay talk about if Julio Jones is overrated (3:45) and dive into the news/noise of the day (6:50) before previewing the Cowboys (19:30)/Eagles (36:14). The crew breaksdown the Panthers and Falcons in double trouble, takes Man's and Woman's League submissions and big news for ESPN Insider / ESPN+ subscribers. Field Yates, Mike Clay and Stephania Bell discuss if Adrian Peterson still has fantasy value, preview the Saints & Bucs and Man's/Woman's League submissions! Matthew Berry, Field Yates and Stephania Bell announce the details on their NYC live show (2:05) and breakdown the preseason Week 2 which was highlighted by Patrick Mahomes (4:05), Calvin Ridley (10:25) and Taywan Taylor (47:00). Matthew Berry, Field Yates and Stephania Bell evaluate the three preseason games (5:07) before they preview the Packers (27:10) and Bears (43:14). The crew breaks down the Lions and Vikings in Double Trouble and takes Man's League submissions. Plus, Matthew has finally had it with Stephania and her board bets. Field Yates, Stephania Bell and Mike Clay evaluate recent injuries (6:42) before diving into double trouble with the Seahawks (27:01) and Cardinals (47:58). The crew breaks down the fallout from the Derrius Guice injury, if there's concern around Jerick McKinnon, rookie performances & questions from our listeners. Just in time for the weekend, Matthew Berry reads you all 10,000 words of his 2018 Draft Day Manifesto. Producers Note: This was recorded before the Derrius Guice injury. The crew recaps Thursday night's preseason action, talks Colts and Jaguars for Double Trouble and do you have a separate drawer for your socks and underwear? Matthew Berry, Field Yates and Stephania Bell provide three players each that are not currently being drafted that they are interested in (6:50) as well as preview the Texans (29:47) and Titans (48:09) in double trouble. The crew takes on another round of News or Noise (11:14) with questions on Carson Wentz, Chris Godwin and the Dolphins' RBs. Plus, Jeff Fisher talk (25:20) and double trouble featuring the Raiders and Chiefs (31:58)! Live from the El Rey Theater in Los Angeles, the crew does a round of News or Noise, talks Chargers and Rams in Double Trouble and takes questions from the live audience. Field Yates, Stephania Bell, Secret Squirrel and Thirsty Kyle hit up LA Chargers camp and sit down with Philip Rivers, Melvin Gordon, Keenan Allen and Mike Williams. Matthew Berry, Field Yates and Stephania Bell recap Thursday's WR poll (3:05), decide if recent reports are news or noise (7:00), preview the 49ers/Broncos (32:17), and determine if running jokes into the ground is funny (55:51). Matthew Berry, Field Yates and Stephania Bell update the health of Josh Doctson (8:52), give three players apiece that they are avoiding at their current price (10:21), dive into Double Trouble for the Bills and Dolphins (32:27), and finalize a Wonderlic bet (54:12). Field Yates, Stephania Bell and Mike Clay discuss Mike's updated dynasty ranks and preview the Patriots/Jets. Matthew Berry, Field Yates, and Stephania Bell present their three favorite offseason moves and break down the Ravens/Browns in Double Trouble. Matthew Berry, Field Yates, and Stephania Bell break down the recent news across the league and evaluate both the Steelers and Bengals. The crew shares details on the upcoming live show in LA and Mike Clay joins to talk about 2018 fantasy sleepers, busts and breakouts. Plus, Twitter questions from listeners! Matthew Berry presents his 100 facts that you need to know as you prepare for the 2018 fantasy football season. After some heavy editing and hard work by Secret Squirrel, the crew talks about their 2019 live shows, the live Twitter stream, going to NFFC and the big news around Edelman, Winston, Luck and other camp nuggets. Dr. Wiliams joins Stephania to explain cartilage restoration procedures, including how they differ from microfracture and why Boston Red Sox second baseman Dustin Pedroia was the perfect candidate. Matthew Berry, Field Yates and Stephania Bell break down the top ranked rookies for 2018 by position: RBs (7:06), WRs (47:43), QBs (1:04:37) and TEs (1:10:22). Matthew, Field and Stephania weigh in on Brandin Cooks' move to the Rams (8:40), if Terrell Pryor can find success with the Jets (20:45) and Frank Gore's possible production in Miami (24:50). Plus, Matthew has a new Love/Hate (32:25), Field drops the deets on pre-draft rumors (37:50) and much more! Matthew, Field and Stephania breakdown all the fantasy relevant news from free agency including Kirk Cousins (10:30), Allen Robinson / Trey Burton (15:30), Sammy Watkins (24:00), Carlos Hyde (29:15), Jeremy Hill (34:50), Dion Lewis (39:30), Jerick McKinnon (43:00) and so much more. Adam Schefter recaps the biggest moves from the first week of free agency with Field Yates (:33). Plus, new Jets DB Trumaine Johnson discusses signing with New York (26:54). With Tyrod & Jarvis Landry being traded to the Browns, Matthew (but really Daniel) demanded an EMERGENCY PODCAST looking at their fantasy value. Plus, is Derrick Henry an RB1? Matthew, Field, Stephania and Daniel welcome Mike Clay to breakdown what they saw at the combine including QBs, RBs, WRs, TEs & even a few nuggets from the rookies themselves. After a much needed break, the crew is back together to talk about Field's engagement, Stephania becoming an FSWA Hall of Famer, the FSTA awards & the latest off-season news. Field Yates and Al Zeidenfeld bring you their last DFS pod of the season with a look at their favorite players and matchups from the Super Bowl. Field Yates and Al Zeidenfeld break down the NFC & AFC Championship games and talk about their DFS Best Buys of the week. Field Yates and Al Zeidenfeld (Al Smizzle / LA Smooth) break down the strategy behind DFS in the Divisional round and talk best buys for the week. Before being inducted into the Fantasy Sports Writers Association Hall of Fame, ESPN NFL injury analyst Stephania Bell joined The Plug to discuss Antonio Brown's injury, daily fantasy plays, Isaiah Thomas' hip and much more. In the final 06010 of the year, Matthew Berry, Field Yates and Stephania Bell give out their end of season awards in a live show (sort of) broadcast on Twitter. Field Yates and Al Zeidenfeld (Al Smizzle / LA Smooth) break down the strategy behind DFS in the Wild Card round and talk best buys for the week. Matthew Berry, Field Yates and Stephania Bell preview the final games of the year and say thank you to everyone who helped to make this year possible. Matthew Berry (from Bristol) and Field Yates (from Boston) recap all the Week 16 action. Matthew Berry, Field Yates and Stephania Bell preview all the Week 16 games and break down all the injury news and practice information you need to know. Field Yates, Mike Clay and Stephania Bell talk Greg Zuerlein to the IR, Week 16 WR/CB matchups to watch, way too early dynasty questions and Al Smizzle's DFS best buys. Matthew Berry, Field Yates and Stephania Bell discuss Rodgers and Henry to the IR (11:00) and our Week 16 rankings debate (25:30). Matthew Berry, Field Yates and Stephania Bell talk Zeke's return (8:30), recap Bucs-Falcons (15:25), show league updates (26:30) and Week 16 waiver wire targets (37:25). Matthew Berry, Field Yates and Stephania Bell recap all of the Week 15 action and discuss the latest injury news for Antonio Brown. Matthew Berry, Field Yates and Stephania Bell recap Colts-Broncos, talk injury news and preview all the upcoming games in Week 15. Matthew Berry, Field Yates and Stephania Bell talk injury news (7:00), preview Thursday Night Football (24:00) and break down Week 15 DFS best buys with Al Zeidenfeld (36:40). Field Yates, Stephania Bell, Mike Clay and Matt Bowen discuss the return of Aaron Rodgers and its impact on Jordy Nelson, young RBs passing the eye test as well as Week 15 rankings. Matthew Berry, Field Yates and Stephania Bell talk Aaron Rodgers potential return (6:50), injury updates (10:40), recap MNF (19:11) and Week 15 waiver targets (36:25). Matthew Berry, Field Yates and Stephania Bell breakdown the Carson Wentz injury (1:03:40) and recap all the games from Week 14. Matthew Berry, Field Yates and Stephania Bell recap Falcons-Saints, give injury updates for Robby Anderson, Matthew Stafford & Chris Hogan and preview all Week 14 games. On Thursday afternoon the Steelers announced that LB Ryan Shazier had undergone spinal stabilization surgery. To explain spinal stabilization surgery and the context around this type of procedure, renowned orthopedic spine surgeon Dr. Robert Watkins joins Stephania Bell on this episode of Answering the Bell. Field Yates, Mike Clay and Stephania Bell break down the latest injury news (4:50), preview Falcons-Saints (20:15), WR/CB matchups to watch (29:25) and Week 14 DFS best buys. Field Yates and Mike Clay recap the Gronk & JuJu suspensions and break down their Week 14 rankings including tough flex dilemmas heading into the fantasy playoffs. Matthew Berry, Field Yates and Stephania Bell talk Gronk's suspension (5:00) and injury updates (10:00). Plus, recapping MNF (15:45) & Week 14 waiver targets (39:45). Matthew Berry, Field Yates and Stephania Bell recap all the Week 13 action including disappointing games from Julio, Evans, Hunt, Diggs, Brady, Howard and more. Matthew Berry, Field Yates and Stephania Bell recap Cowboys-Redskins and preview all the Week 13 games as we help you prepare for your final playoff push! Field Yates, Mike Clay and Stephania Bell discuss Jameis Winston (4:00), Sterling Shepard (5:50), preview TNF (26:30), WR/CB Matchups to watch (37:45) & Wk 13 DFS Best Buys. Matthew Berry, Field Yates and Stephania Bell talk about Eli & the Giants (4:30), Jimmy Garoppolo becoming the starter in San Fran (9:15) & our Week 13 rankings (23:30). Dr. William Meyers, President and Chairman of the Vincera Institute, joins Stephania to explain what exactly constitutes a core muscle injury, the goal of surgical repair (when indicated) and why the term "sports hernia" should no longer be a part of our vocabulary. Field Yates, Stephania Bell and Mike Clay talk about the latest injury news (3:30), recap MNF (25:50) and Week 13 waiver wire targets (41:30). Field Yates and JJ Zachariason of NumberFire chat about the Chiefs' slide (6:02), AFC West teams lurking into the playoff race (13:15), the Rams taking out the Saints (21:59), the Cowboys' lack of creativity (29:20) and much more. Plus, Field dishes on "Mr. steal-your-chain" (2:11) and this week's Monday Night Football matchup (40:24). Matthew Berry, Field Yates and Stephania Bell recap all the Week 12 action including Kareem Hunt, Evan Engram, Jordan Howard & more fantasy heartbreak. Field Yates, Stephania Bell and Mike Clay take a look ahead to all the Week 12 games including injury news, practice updates, Pigskin Pick'em and pirate jokes. Field Yates, Mike Clay and Stephania Bell talk latest injury news (4:45), MNF recap (15:15), trade deadline talk (37:30) and Week 12 waiver wire targets (53:50). Matthew Berry, Field Yates and Stephania Bell recap all the Week 11 action including big injury updates from the weekend. Plus, what do TMR & Jay Cutler have in common? Field Yates, Stephania Bell and Mike Clay take a moment to recap Titans-Steelers from Thursday as well as give a breakdown for each game in the Week 11 slate. Field Yates, Stephania Bell and Mike Clay talk injury updates (4:01) and WR/CB matchups to watch (22:17), preview Titans-Steelers (28:05) and give out DFS best buys (41:03). Field Yates, Stephania Bell, Mike Clay and Bill Barnwell talk about the latest news (3:30), discuss trade targets (13:45) and Week 11 rankings (42:00). Field Yates, Stephania Bell and Mike Clay talk injury updates (3:15), recap Cam's big MNF performance (18:15), Waiver Wire targets (42:15) & CoDWWII's Michael Condrey (55:00). Matthew Berry, Field Yates and Stephania Bell discuss eating cookies at 4am (2:30) and break down all of the Week 10 action (8:10). Plus, injury updates & board bets. Matthew Berry, Field Yates and Stephania Bell take a moment to honor Veteran's Day, recap Seahawks-Cardinals and preview the entire Week 10 slate. When Chicago Bears tight end Zach Miller suffered a knee dislocation in Week 8, he needed urgent surgery to repair an artery in his leg with additional orthopedic procedures and a lengthy rehab process to follow. Dr. Jason Lee, Professor of Vascular Surgery at Stanford University Medical Center and Dr. Walt Lowe, Head Team Physician for the Houston Texans join Stephania to share what happens from the field to the operating room following this type of injury. Field Yates, Stephania Bell and Mike Clay talk injury updates (4:20), WR/CB matchups to watch (24:30), Seahawks-Cardinals preview (29:00) & DFS best buys (40:30). On a slow news day Matthew Berry, Field Yates and Stephania Bell discuss the origin stories of many of the 06010 inside jokes (12:00-33:30) and Week 10 rankings talk (36:30). Matthew Berry, Field Yates and Stephania Bell start the show with an exciting announcement from Field (4:45), discuss the Winston / Evans news (13:45), recap Lions-Packers (37:30) and break down the Week 10 waiver wire (56:00). Matthew Berry, Field Yates and Stephania Bell recap all the Week 9 action including ejections, drops, fumbles and heartbreak. Before the show, Matthew gives an update on the latest surrounding Zeke, followed by the crew talking National Jersey Day, recapping TNF & previewing Week 9. Field Yates, Mike Clay and Stephania Bell wonder if TMR could take a few more days off, talk Josh Gordon (8:20), Broncos QBs (13:30), TNF preview (25:00), WR/CB matchups to watch (39:15) and Week 9 DFS Best Buys (43:20). Field Yates, Mike Clay and Stephania Bell talk the Jay Ajayi trade (5:45), Kelvin Benjamin trade (14:40) and Week 9 rankings conversation (31:00). Before the podcast, Matthew Berry reacts to the Ajayi trade news from a small closet, followed by the crew talking Zeke's suspension (4:30), the Jimmy Garoppolo trade (9:15), major injury updates (15:00), MNF recap (27:00), Week 9 waivers (38:00) and Miles Teller joins the show (54:30). 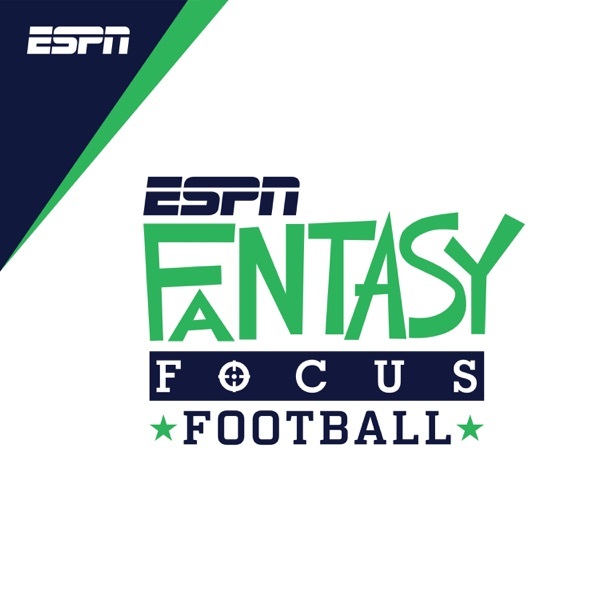 Fantasy Focus Football shares the trailer for Season Two of 30 for 30 Podcasts, launching November 14th, as well as one of our favorite episodes from Season One, A Queen of Sorts. Matthew Berry, Field Yates and Stephania discuss why we recorded later than usual, recap all the Week 8 action and discuss injury news for Gordon, Miller and Hogan. Matthew Berry, Field Yates and Stephania Bell share results of the jersey poll (8:00), recap Dolphins-Ravens (10:30) and preview all the Week 8 action (22:00). Matthew Berry, Field Yates and Stephania Bell need your help with national jersey day (3:30), talk injury news (10:00), discuss who would be cast in the 06010 movie (26:00), preview Dolphins-Ravens (32:30) and break down Week 8 DFS best buys (47:35). Field Yates, Stephania Bell and Mike Clay talk injury news (5:30), Week 8 rankings (13:25), WR/CB matchups to watch (42:15) and Nat Coombs flips the script and interviews TMR! Matthew Berry, Field Yates, Stephania Bell & Bill Barnwell discuss our weasel poll, recap Eagles-Redskins (14:15), talk injury updates (41:30) & Week 8 waiver targets (47:55). Matthew Berry, Field Yates and Stephania Bell recap all the Week 7 action including RBBC's to watch & how QB injuries impact the fantasy values of Dolphins & Cardinals. Matthew Berry and Field Yates recap a crazy Chiefs-Raiders game, preview all the Week 7 games and break down the latest injury news. Plus, boxers or boxer briefs? In this episode of the Answering the Bell podcast, Dr. Bobby Chhabra, Professor and Chair of Orthopedic Surgery at University of Virginia Health System and Team Physician for UVA Athletics joins Stephania to talk about wrist and hand injuries in the NFL. Dr. Chhabra is an orthopedic surgeon who specializes in injuries of the elbow, wrist and hand. How long does it take to recover from a wrist dislocation like the one David Johnson suffered in Week 2? How common is it for a player to have a finger joint pop out of place - like we saw earlier this year with Odell Beckham, Jr - and then continue to play? Dr. Chhabra answers these questions and many more! Field Yates and Mike Clay start the show with the latest on Andrew Luck (3:30), preview Chiefs-Raiders (8:05), talk Week 7 rankings (30:45), WR/CB matchups (42:15) & DFS Best Buys ( 50:45). Live from DC Improv Matthew Berry, Field Yates and Stephania Bell talk Zeke news, play three different name games, break down the Redskins offense and take fan questions! Recording from Field's hotel room in DC Matthew Berry, Field Yates and Stephania Bell recap MNF, discuss the Week 7 waiver wire and break down all the latest injury info. Matthew Berry, Field Yates and Stephania Bell recap the entire Week 6 slate and talk injuries to Rodgers, Fournette, Sanders, Tate and more. Plus, TMR & Stephania's board bet! Matthew Berry, Field Yates and Stephania Bell open the show talking about this week's Love/Hate article, discuss everything we know about Zeke's suspension (8:30), recap Eagles-Panthers (12:40) and break down every game on the Week 6 slate (22:00). Field Yates, Stephania Bell and Mike Clay open the show with a new theme song from Kit & Chip (3:30), talk Tyler Eifert and other injury news (6:45), preview Eagles-Panthers (28:00), breakdown the WR/CB matchups to watch (40:55), look ahead to DFS best buys for Week 6 (49:15) and our first Celeb League interview with director Joe Russo (58:15). Matthew Berry, Field Yates and Stephania Bell discuss Kyle's book report on Star Wars, break down the Adrian Peterson trade (10:30), give updates on the latest injury news (15:15), discuss the philosophical side of rankings players (26:00), and talk Week 6 rankings (33:30). Matthew Berry, Field Yates and Stephania Bell open the show with some iTunes reviews, recap Monday Night Football by discussing Trubisky's value as a bye week fill-in (8:30), get updates on the latest injury news (30:15), look at the top Week 6 waiver wire targets (44:30 & 52:30) and discuss which Star Wars characters the podcast crew would be (47:17). Plus, Man's / Woman's / Celeb league updates!